Christmas is full of symbolism. Everything from holiday wreaths to candy canes and mistletoe have hidden meanings. But there are some traditions we're still learning about, and one is the bird's nest ornament. Like the pickle ornament and the spider ornament, a nesting bird ornament apparently has a history of good fortune. "Bird nests are symbols of home," the website My Growing Traditions quotes German company Inge Glas as saying in a 2005 ornament description. "They represent the love, commitment, and effort it takes to build a happy home. Bird nests are also good-luck symbols. 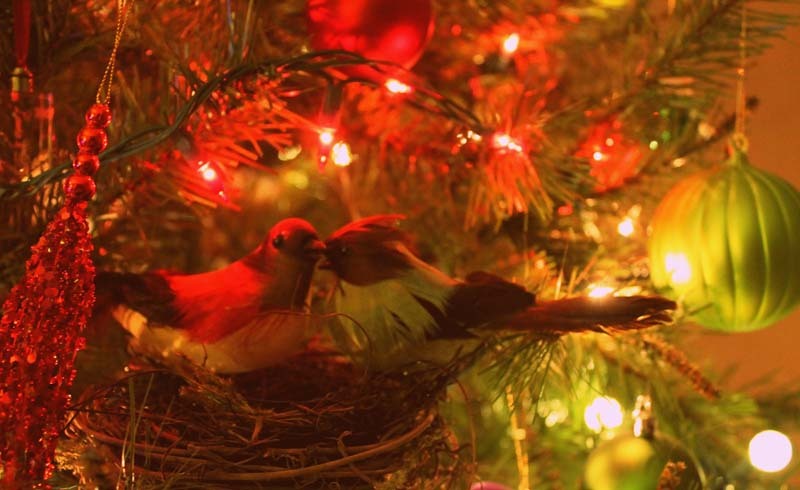 Legend has it that prosperity will come to any home that finds a bird's nest nestled among the branches of the family Christmas tree." Bronner's in Frankenmuth, Michigan, says something similar, as do sites across the internet. Most people claim that the decoration has German roots, including the Director of the Floral Design Institute Leanne Kesler, who calls it "an old German folk legend" in a YouTube tutorial. While Inge Glas no longer has the legend included with the bird's nest ornament on hand, a representative for the company confirmed to CountryLiving.com that "Birds are a tradition with German/European roots." As the legend printed with the ornament says: "It is a symbol of happiness and joy, an image of the soul that has been associated with freedom and elegance for centuries." Regardless of origin, the baubles make a beautiful and meaningful gift idea. Of course, you can always create your own using materials from the crafts store. 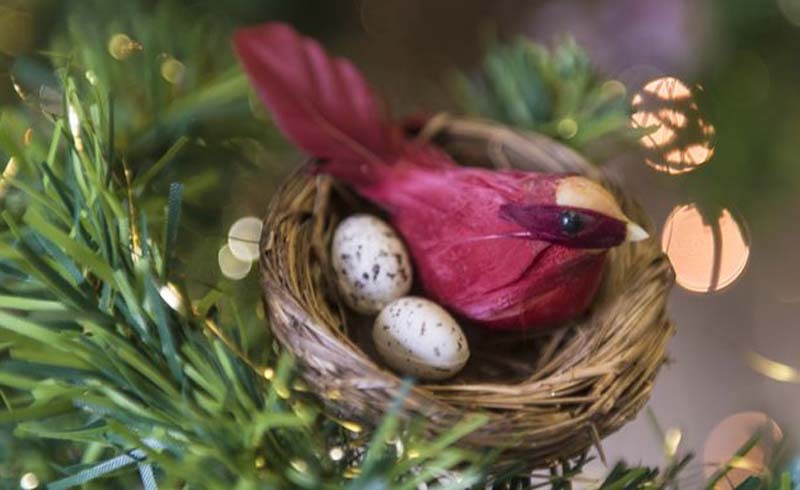 But if you'd rather buy than DIY, there are designs made of metal, glass, and more, complete with clips or hooks for hanging from the branches of your evergreen. On Etsy, you can even get the eggs inside personalized with the names of your children. Some of the styles can span the seasons, so you can keep them up long after Christmas has come to a close.